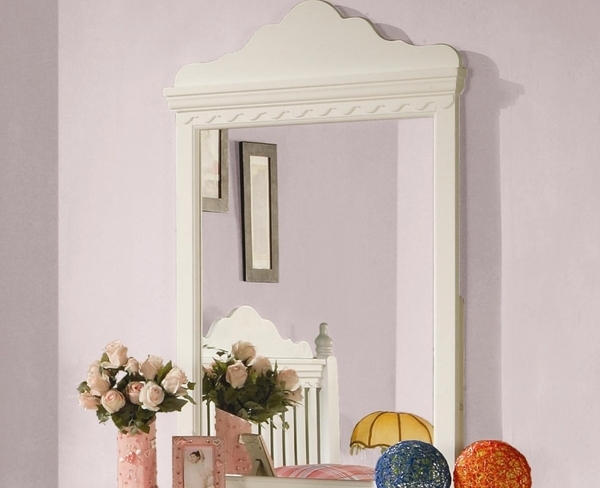 Accent your child's bedroom with a special touch of youthfulness by adding this dresser mirror to the decor. The piece carries a crisp white finished frame as well as an arched, carved top. There will be plenty to like with this vertical mirror above your child's dresser.